An interview with Kathleen Albers and Irene Oliver-Lewis, "Dale Gas." 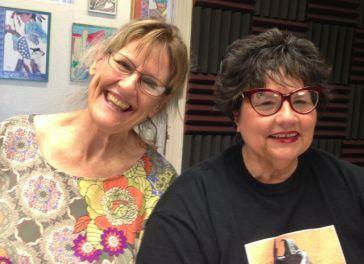 Kathleen Albers and Irene Oliver-Lewis at KRWG FM studios. 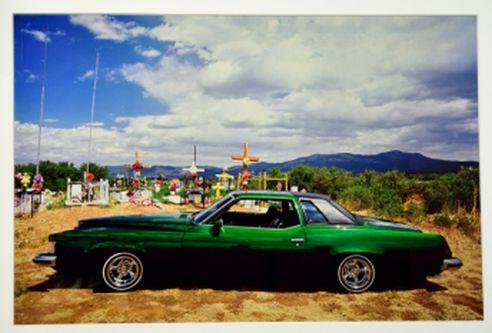 A photo from the Lowrider exhibit from the New Mexico State History Museum. Las Cruces, NM – On this edition of PUENTES, bridges to the community, host Emily Guerra met with Doña Ana Arts Council Executive Director Kathleen Albers and Committee member, Irene Oliver-Lewis, in celebration of the elaborately decorated and technically enhanced lowrider vehicles. 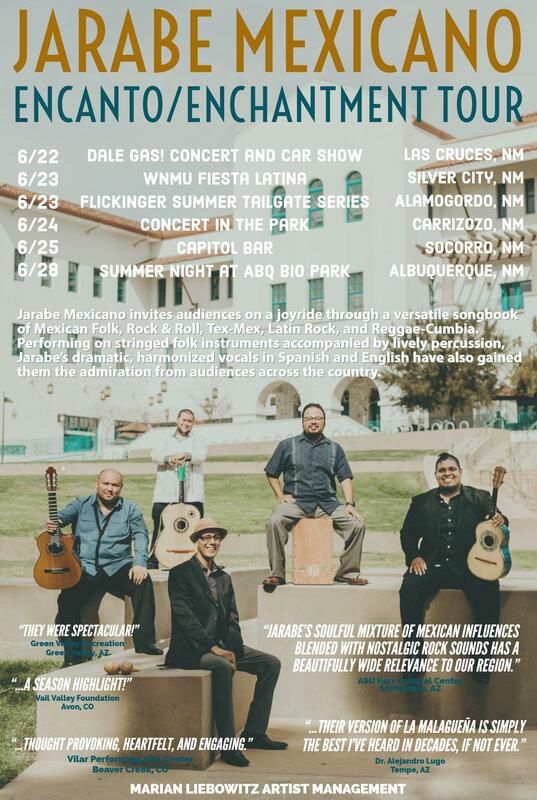 The exhibit opens at the Doña Ana Arts Council Arts & Cultural Center on Tuesday, June 5th through the 25th with a reception on June 9th from 4-7pm during the 10-10 Arts Hop. 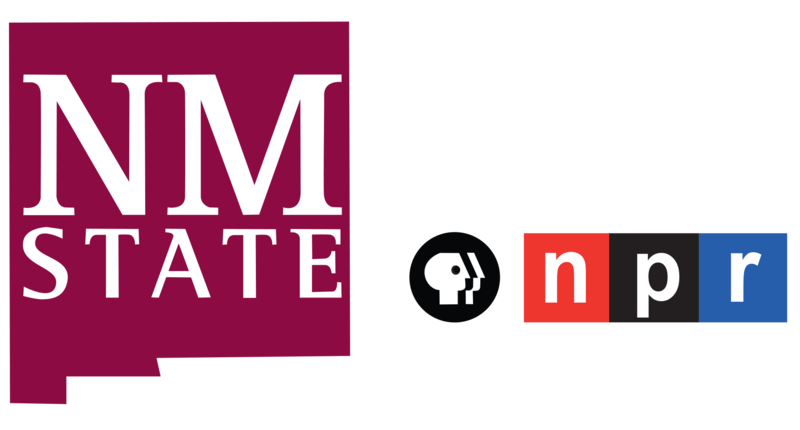 The celebration – “Dale Gas” will honor the lowrider culture with a car show, music and dance on Friday evening, June 22nd from 5:30 to 10:30 with the NMSU DanceSport Team and Jarabe Mexicano Cumbia Band at the Arts & Cultural Center, 1740 Calle de Mercado in Mesilla. Paisano Cafe will have food and drink for sale. Two local lowrider car clubs, The Imperials and The Good Times Car Club, will exhibit 15 lowrider cars and bikes. Airbrush artist, Luis Navarro, will also be available with his art. Tickets and information are available at www.daarts.org and on Facebook.